PIP said I’ve been ignoring you. She did. She came right out and said, “Kate, you’ve been ignoring the lovely people who read your blog”. Well, I never. She’s right though. I have been ignoring you and I am sorry. I didn’t mean to. Wanna make up and be friends again? I promise I’ll be better at sharing. I will. Really, I will. It’s this. I’ve had to stop making this slice, the one in the picture, that is. It’s my favourite slice (outside of jam slice) and I’ve had to stop making it because it’s got wheat in it. The doctor said I have to stop eating wheat and all things gluten-esque. Hmphhh. I love that slice. I love wheat. I love bread. Tell me my life is not over. 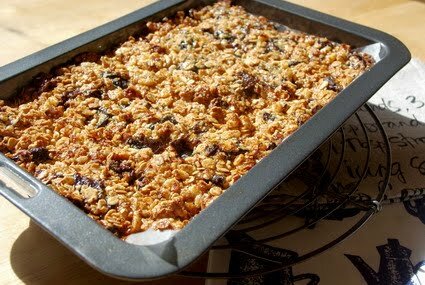 In searching online for the recipe of the slice I love (I was going to share it with you so you could love it, and, you know, Pip said I have to share more) I found this recipe for a gluten-free muesli slice. I never found the Sticky Date Slice recipe I was looking for but who cares. What is a rice cookie? Oh Lordy, I feel there’s a whole aisle in the supermarket I am yet to discover. Maybe I’ll find substitute gluten-free ingredients so I can have a crack at these peanut butter cupcakes. I’m not usually one for cupcakes but now I can’t eat them, I want ‘em bad. Kate it's not the end of the world yet.. Try cutting out gluten and dairy - life is almost not worth living then, but I am naughty as you know! I have a BFF who made me the most delicious GF and DF cupcakes for my birthday last year, she said the trick to getting the light and fluffyness off normal flour cakes was to triple sift the flour and not over cook! p.s. when attempting to modify a favorite recipe using a wheat-flour alternative, I've found that a mixture of 1/3 rice flour, 1/3 potato flour and 1/3 chickpea flour PLUS a 1/2 teaspoon of xanthum gum usually works well. I hate to say it but I will - your life is over. I did gluten free for one year until they realised I wasn't a celiac after all :) and it was pain pain pain all the way. But if you have to do it Aus is the best country in the world for it as we have the highest incidence worldwide and so therefore more gluten free products. But they mostly taste crap. Sorry, just had to be honest with you. 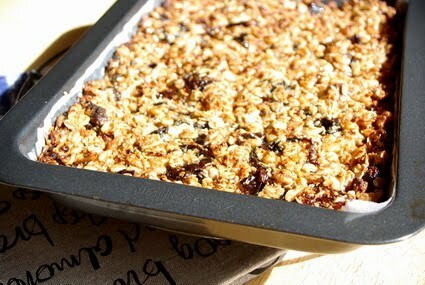 the gluten free girl blog on www.glutenfreegirlabout.blospot.com written by Shauna Ahern and her partner who is a chef is full of helpful advice and tried and tested recipes. She even collaborates sometimes with other great cooks and chefs. She's gradually learned how to make almost everything gluten free. In the Uk we have an amazing brand of organic gluten free flour that I use all the time. It's called Dove Farm and is made from a combination of rice and other flours. If you have any problem getting it I could always send you some. It tastes really good, the only things I haven't been able to make are fruit cakes with it. We did it here (no gluten thing) for about 12 months so can help you! My heartfelt commiserations. I know how it feels to ACHE for slice. And once I had to go on a rice milk, raw cashew and white marshmallow diet. Disgusting. Haven't been able to look a marshmallow in the eye since. Wishing you every bit of luck in gluten free aisle of your supermarket. Looks like someone has coeliac disease! Rice cookies are gluten free biscuits that are found with the rest of the Arnotts products in the supermarket. I was also misdiagnosed with coeliac (lucky for me...) but other members of my family aren't. Just remember to check EVERY label becuase there seems to be gluten in everything not labelled gluten free :( The coeliac society can also be helpful when starting out.